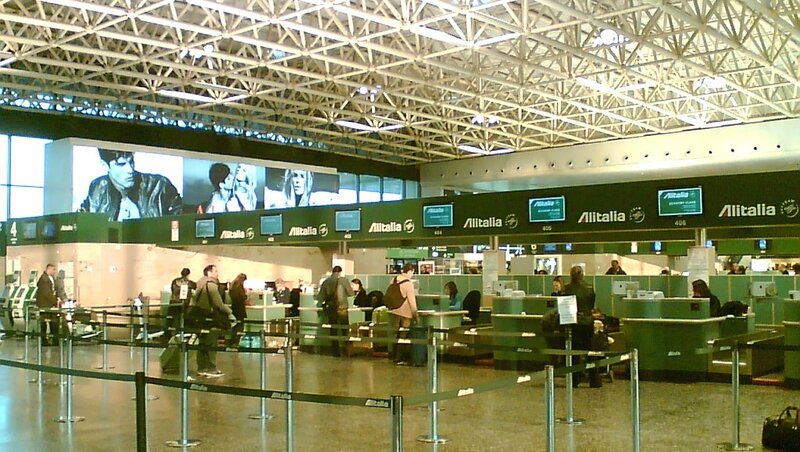 Milan has three domestic and international airports. Recommended hotels nearby are here. A former mililtary airport, turned into one of the two main Italian hubs, Malpensa is located towards Lake Maggiore, some 50 kms from downtown. The Malpensa Express, a special shuttle-train, runs in about 40 minutes to and from the Cadorna railway station, in the very center of Milan (subway stop Cadorna). You purchase your ticket (Euro 13) on the spot, before taking the train, or on line. If you need more information, call 800 500.005. For web details, click here. A pdf detailed timetable in Italian can be found here. .:. Since the summer of 2011, some Malpensa Express shuttle-trains reach - instead of the Cadorna station - directly the main Stazione Centrale. .:. A series of bus services connects Malpensa to the Stazione Centrale as well as to the Linate airport. The best known is the Malpensa Shuttle ([+039] 02 58583185]. .:. Malpensa has two terminals, simply called 1 (the bigger) and 2 (the old one). They are connected by a free shuttle bus. This is a metropolitan airport located in the eastern outskirts, some 10 kms from downtown. Its formal name is "Enrico Forlanini", after an inventor and aeronautical pioneer (Milan, 1848-1930). A special shuttle-service connects with the Stazione Centrale, Milan's main railway station (info at [+039] 02 6690351). There is also an express urban bus, the X73, which runs to and from the city center; the X73 costs Euro 1.50, and is included in the local transport cards. Both these bus services take about 30 minutes, depending on traffic. .:. On Monday October 8, 2001 a private Cessna, taxiing out of a lateral runway where it should not have been at all, hit an SAS MD80 as it took off, sending it ploughing into a hangar and causing 118 casualties. The accident - the worst in the history of Italian civil aviation - was apparently due to a human error (made by the Cessna pilot) as well as to the fact that the airport's ground radar was not operational. The city of Milan declared a day of mourning. Orio is a smaller international airport near Bergamo, some 50 kms East of Milan. It has become the biggest Italian hub for low cost flights. Its formal name is "Il Caravaggio", after the famous 16th-century painter from the area. 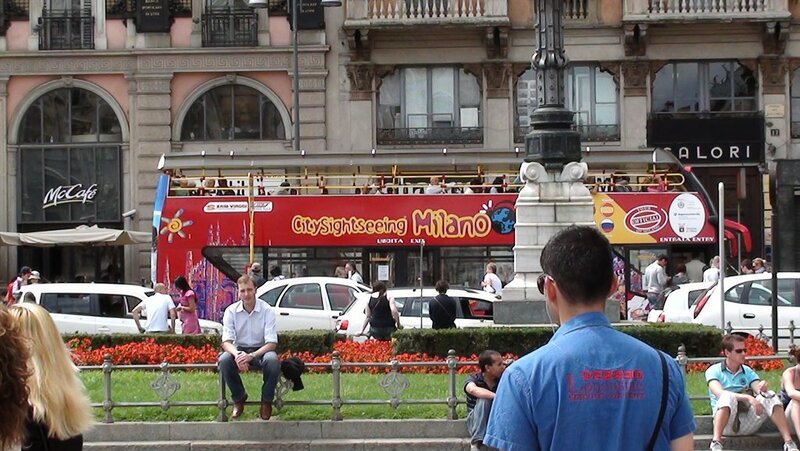 There are bus services from and to Milan. The average fare is around 9 Euros. .:. Autostradale runs between the Orio airport and Stazione Centrale, Milan's main railway station. For information, call [+39] 035 318472 (Bergamo) or [+39] 02 33910794 (Milan). .:. A similar service is offered by the Orio Shuttle. For information, call [+39] 035 319366 or [+39] 035 330706. .:. The most recent and cheapest connection between the Orio airport and Milan Central Station is offered by TerraVision. It's 5 Euros one way, and 9 for return tickets; children less than five years old travel free. .:. Buses by Locatelli Air Pullmann, the same company that runs the Orio Shuttle, connect the Orio airport with FieraMilano, the town's biggest fairground. .:. You can also take a local bus between the Bergamo airport and the Bergamo railway station: trains between Bergamo and Milan (Euro 5.30) are frequent, though sometimes shabby.